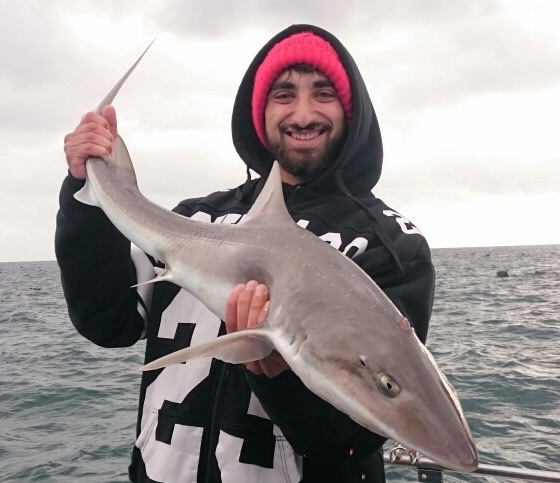 Our 5hr Charter is our most popular trip and is suitable for beginners through to experienced anglers. In season possible target species include Snapper, Gummy Shark, King George Whiting, Australian Salmon, Trevally, Sweep, Flathead, Barracouta, Calamari and Reef Species. We do not target Shark on these trips. The 6 hour trips will, when conditions allow give us more time to travel further down to Barwon Heads where we focus on Snapper and in season Kingfish, but also depending on the weather on the day, may target species mentioned above such as Gummy Shark, King George Whiting, Australian Salmon, Trevally, Sweep, Flathead, Calamari and Reef Species. If we find a shark hanging around the burley trail there is also a good chance we will get the shark rods out for a spin. The full day 8hr Charter will often include Bay and Ocean fishing weather permitting. The 8 hour trips will chase the same species as mentioned in the 5 & 6 hour trips above, but on occasions when the conditions allow and in season are also targetting Kingfish and sharks such as Mako, Threshers, Gummies, 7 Gill and Blue Shark. Depending on the season our Game/Sport fishing trips target Kingfish, Snapper, Salmon, Mako, Thresher sharks and are sometimes getting amongst School shark, Gummys and Blue Whaler, Squid and big Flathead. All top quality rods & reels, including Penn, Ugly Sticks & Wilson Live Fibre rods on board. Bait and tackle supplied. Fish will be cleaned and bagged for your convenience, ready to cook on the BBQ. On all our Game/Sport trips we endeavour to get out into Bass Strait, however, the weather has a big influence on our charters, and obviously we cannot control what the Weather Gods throw at us! 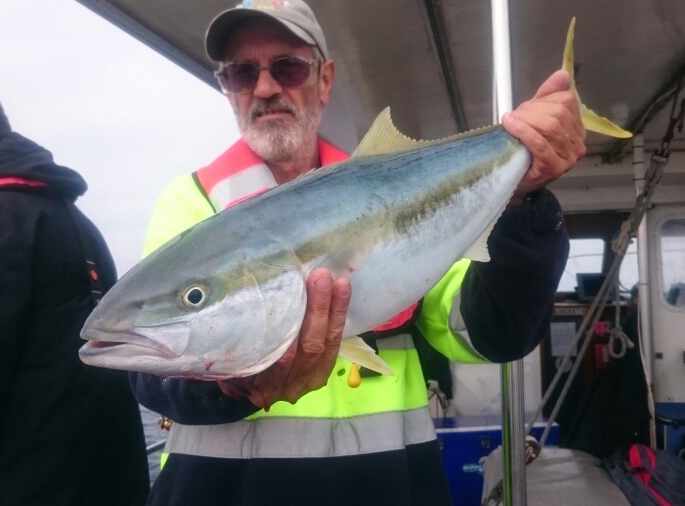 We tend to run charters in rain or wet conditions, however, as a general rule, we do not proceed in wind conditions above 25 knots, in that case we have an alternative trip fishing in Port Phillip Bay when possible. Individuals, groups or social clubs are all welcome. Either of our vessels can be hired privately for such occasions as Corporate Groups, Social Clubs, Birthday Partys, Friends Get-togethers. Catering Packages are also available on Private Charters, please enquire. For Individual and small group bookings payment is required in full using a credit card over the phone. For Private Charters a 30% deposit is required to make a reservation when booking using credit card, bank transfer or cheque. Final payment on the day either credit card or cash. Bookings are fully transferable and can be rescheduled with reasonable notice. You MUST provide a mobile contact number whereby you are reachable either the night before of the morning of your trip. Minimum numbers for a trip to proceed are 7 aboard Big Blue and Rip Runner. Rip Charters reserves the right to cancel a trip if minimum numbers are not met. All cancellations or changes to numbers not given with 14 days notice will be held accountable for total cost. Prices are subject to change without notice. To keep faith with other guests DEPARTURE TIMES FOR ALL TRIPS ARE EXACT. If you are late, you will have to make another appointment. Please allow plenty of time for Summer traffic and delays in finding a car park. a. Rip Charters skipper regards the weather conditions as unsafe. b. Unforseen circumstances outside of Rip Charters control.